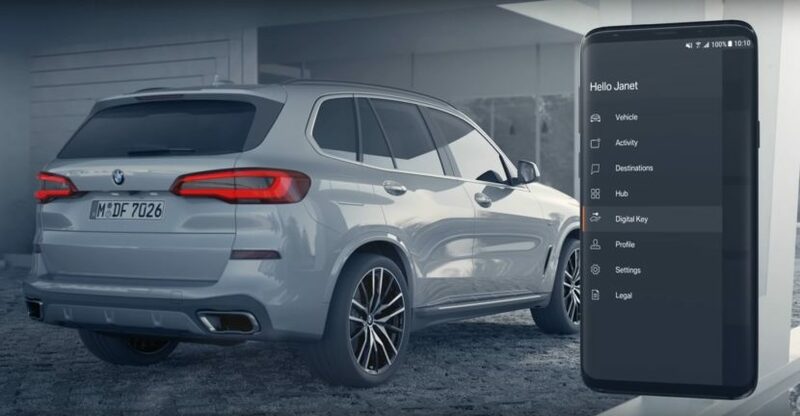 When BMW unveiled the new Digital Key, some people were relieved to learn that they could finally use their smartphone to lock and unlock their car. It’s a bold but also necessary move forward as we do usually end up having to carry a number of sets of keys around with us, a task that can get annoying. As the video below shows, carrying house keys, car keys and office keys sometimes, can become a bit too much so why not use you phone to replace at least one of them? The BMW Digital Key allows you to turn your smartphone into a car key. With the key, you’ll be able to lock and unlock your BMW and even start the engine without needing a physical key. Your digital key will be stored securely in the BMW Connected App. The option ‘Digital Key for 5’ allows you to share it with up to 5 other people. You will be provided with a key card that has the same functions as the one on your phone. While it may sound easy enough at first, in order to activate the Digital Key you have to go through some steps. First of all, you’ll need to fit your car with the Comfort Access option, to be able to use any of these features. You’ll also need the ConnectedDrive app and an account for it. The Digital Key can only be activated by going to a nearby dealer, where you’ll need to prove you’re the owner of the car you’re trying to use with the Digital Key and you’ll have to provide an official ID as well. Upon confirmation, you’ll be asked to generate a four-digit code for your Digital Key, a code which can be used to share your key with other drivers if you want to. After that, the key will be installed on your ConnectedDrive app and you’ll be able to use it. In order to start you car using your phone, you’ll have to pair it with the car key. To do that you’ll need to place your smartphone on the car’s wireless charging pad. The Digital Key will then be recognized by the car’s on-board systems and you’ll be offered the option to use your phone as a car key.